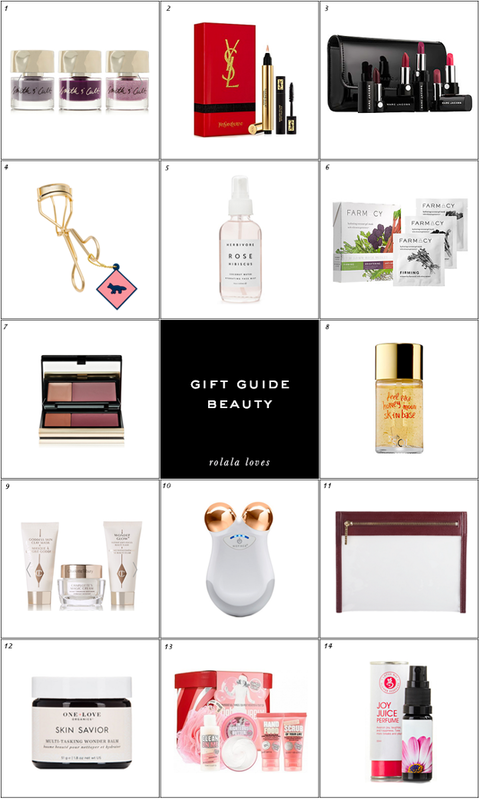 So I talked about my preference for practical and fun gifts in my previous gift guide and I would consider beauty products both of those things. In fact they're one of my favorite types of presents to receive. 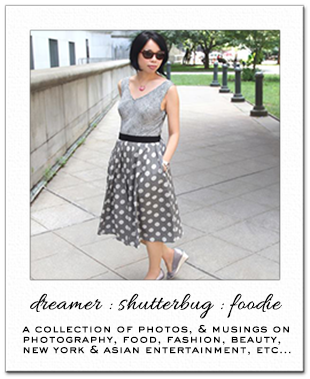 And I might actually be coveting a few items here. I'm a big fan of the Farmacy Beauty Masks reviewed here. I picked up the Truffle Clarity Clutch during Cyber Monday and I just love how it keeps items in my purse so clearly and chicly organized. I had no clue what n°10 was until I read it :-) Interesting little device! I would love the nail set and to try some Charlotte Tilbury products. Have a nice weekend, Rowena. All of these selection are perfect idea to give for holiday gifts. Have a great weekend. Nr. 10 really intrigues me, I have been meaning to try something like this for ages. Hi Rowena! I wouldn't mind receiving one of the Yves Saint Laurent or Marc Jacob's gift set! The gift ideas are very nice! Glad to hear you are happy with your purchase. You can always find a real bargain on Black Friday and Cyber Monday. so many faves on this list!! ilove YSL and the farmacy masks. anything charlotte tilbury too! lovely gift guide! A good eyelash curler is a life saviour. You know what beauty product I'd love to get for Christmas. A Clarisonic! Or something along the lines, haha. That said, I still think this is a wonderful list, Rowena. Everyone loves getting lippie sets as gifts! Oh gosh, this has to be one of the most stunning gift guides I've read, Rowena and also one of the most expensive. I would be a very happy woman if I received any of these and if I received all, I would pass out from overexcitement. Lovely selections. I have been on the Charlotte Tilbury site so much this year, than ever, and always find myself wanting her beauty pieces. Will have to check out that Goddess travel set. This is an amazing beauty gift guide...the selection is so perfect! 2, 5 and 10 are my favourite picks! So glam and chic! Interesting gift guide! Thanks for sharing! I really want that soap and glory kit! The Mini Toning Facial Device looks intriguing! It is a guide of exclusive gifts that would be lucky to receive any of these products! Omg! These are all fab gifts! Great gift guide! The NuFace toning device looks fabulous. These gifts are perfect for Christmas ! Ooooh I think I would get those Smith & Cult polishes for moi, I love them and often go to Birch Box for a manicure with their colors. What a fabulous gift guide, Rowena. I would love if Santa would bring me some of the above ;) About the CT powder, I love that it is infused with hydrating Rose Wax and Almond Oil for a creamy, non talc texture, it's a perfect setting powder for under the eye even if you have dry skin. Dear Santa, can I have on of each, pretty please? I've been really good this year :) Seriously, Rowena, you always find the best beauty stuff, and I would gladly welcome any of these items under my Christmas tree. Which one would you pick, if you could choose only one? I just purchased some Smith & Cult nail polish! Can't wait to try!